"Capri history - from prehistory and the Roman emperors to the French, the British and recent tourist invasions..."
1. CAPRI: PREHISTORY - At the beginning of the 20th Ct during the dig for the enlargement of the hotel Quisisana, bones of prehistoric animals were found, together with the weapons and tools of Paleolithic men. These finds support the thesis Capri was once part of the mainland. 2. CAPRI HISTORY: NEOLITHIC AND BRONZE AGE - Grotta delle Felci, a cave on the isle of Capri, is one of the most important archaeological sites of the Neolithic and Bronze ages of Italian history: it was used by primitive man as a site of worship and a burial ground. Among the finds there were fragments of black ceramics, crockery and small millstones. 3. CAPRI HISTORY: GREEK PERIOD – Greeks were the first settlers of Capri and came to the island in the 8th Ct BC. The only remains from that period are traces of the Greek walls, Phoenician steps that connect Marina Grande with Anacapri and some epigraphs in stone. 4. CAPRI HISTORY: ROMAN PERIOD – It was emperor Augustus that first “discovered” Capri, took it from Naples and built a palace here. After him, it was Tiberius that resided on and ruled the empire from Capri. 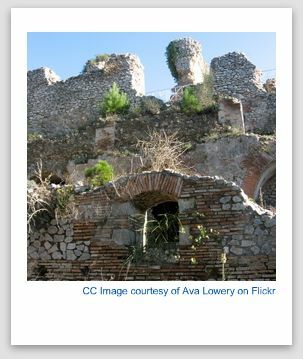 He built a succession of villas, the most famous being Villa Jovis, one of the best preserved villas in Italy. 5. CAPRI: MIDDLE AGES In was in the very early middle ages that San Costanzo, the future patron saint of the island, arrived to Capri from the East. In the 9th Ct a cathedral was built on the site of his grave. 6. In the 7th Ct, Capri suffered many attacks and pillages of the Saracens who would deport the inhabitants as slaves. The islanders would flee their homes and hide in the caves or take refuge in the uplands. 7. In the following centuries the isle of Capri changed hands: it was dominated by the Duchy of Naples, the Longobards, Normans, Anjouins, Aragonese and the Spanish. 8. In the 17th Ct. the plague epidemic arrived on the island and killed over 300 of the island’s 755 inhabitants. At that time the villagers resented the Charterhouse monks for staying isolated inside the monastery and not willing to help. They took revenge by throwing the infected corpses inside the monastery walls. 9. CAPRI HISTORY: MODERN TIMES - In 1806 the island is conquered by the French and then re-conquered by the English… and then re-conquered by the French again. They both fortified the island. 10. 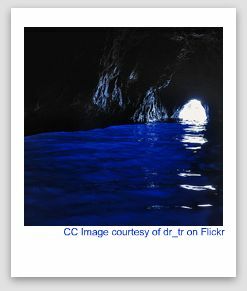 In 1826 the Blue Grotto is “rediscovered” so spreading the word of the island and its beauties around Europe and attracting travellers. With this a new chapter of Capri history starts in which the island is to be conquered only by tourists, writers, artists and free souls.